Howard Scheck, a Partner with StoneTurn, has more than 25 years of experience addressing public company financial reporting issues as an independent auditor, SEC Enforcement attorney and forensic accountant—including as Chief Accountant of the SEC’s Division of Enforcement. Howard focuses on assisting counsel representing audit committees, public companies and audit firms in investigating accounting and auditing issues arising out of SEC and PCAOB enforcement inquiries, internal whistleblower complaints and civil lawsuits, as well as in defending clients (including individuals) in such matters. During his career, Howard has conducted numerous financial reporting investigations involving a multitude of accounting, internal controls, disclosure and auditing-related issues involving public companies (and audit firms) across many industries including energy, financial services, pharmaceutical and telecommunications. 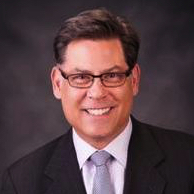 In the private sector, Howard has led accounting and FCPA-related investigations for audit and special committees, has assisted counsel in defending public companies, their officers, directors and auditors involved in government investigations, and has assisted companies with assessing anti-fraud and FCPA compliance programs and controls. As Chief Accountant, Howard oversaw the Division of Enforcement’s accounting and auditing-related investigations and worked closely with the Office of the Chief Accountant and Division of Corporation Finance on such matters. Previously in the Division, he served as a Branch Chief, Senior Counsel and Staff Attorney, where he was responsible for investigating and prosecuting violations of federal securities laws involving financial reporting, insider trading, market manipulation and offering fraud. Prior to joining StoneTurn, Howard was a Partner in the Forensic practice of KPMG, where he assisted counsel in conducting financial reporting investigations and defending clients involved in SEC and DOJ inquiries. Before becoming Chief Accountant, Howard was a Partner in the Forensic practice of Deloitte. He began his career in the firm’s audit department. Howard is a member of the American Institute of Certified Public Accountants, District of Columbia Bar and American Bar Association.